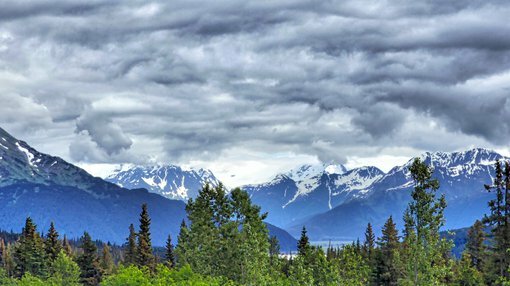 White Rock Minerals’ (ASX:WRM) report for the June quarter highlighted the substantial success the company had on the drilling front at its Red Mountain Project in Alaska. A sustained run of promising drilling results even made the big players in the mining sector stand up and take notice with the $1.2 billion Sandfire Resources (ASX:SFR) looking for a piece of the action. Recent reconnaissance work appears to have built on the success with the company discovering a 60 centimetre wide massive sulphide outcrop, rich in sphalerite (zinc) and galena (lead). This massive sulphide extends over 500 metres of strike and is hosted within a graphitic schist that can be traced over one kilometre of strike. 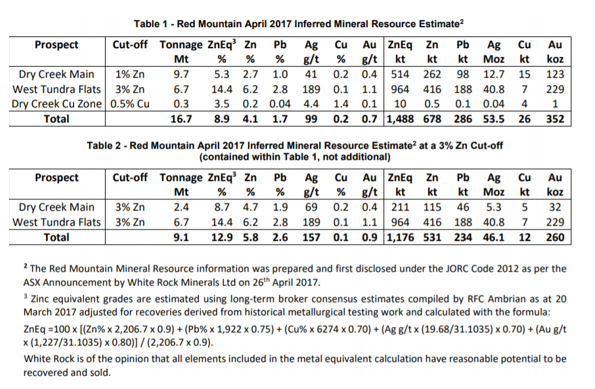 Portable XRF analysis of soil samples returned up to 24.3% zinc, 2.4% lead, 1.5% copper and 249 parts per million silver. While rock chip assays are pending, it also pays to consider White Rock from a broader perspective. As a company with an established resource and success under its belt with the drill bit, White Rock has gained recognition but one could argue that in proportionate terms the extent of success which may be ahead of it could even exceed the outstanding progress it has made to date. Of course, it still has a lot of work to and investors should seek professional financial advice if considering this stock for their portfolio. Interestingly, high volume buying recently saw the company’s shares rally 50 per cent in July, but there is the potential for further upside. Though he acknowledges the outstanding drilling results and the potential success from future drilling, managing director Matt Gill provided some perspective in saying, “While a lot of focus and interest is on the diamond drilling we are doing, the background work by the reconnaissance mapping and geochemical sampling crew is key to our next discovery. “To date, this crew has mapped and taken over 1000 soil and rock samples from an area covering 30 square kilometres of terrain. “This work is done on foot and it is important to note that the territory covered is just the tip of the iceberg in a tenement package of 143 square kilometres. “Identifying this potentially high-grade massive zinc and lead sulphide rock outcrop is exactly what we are after. “What is exciting is that our on-ground recon crew has to date covered just 20% of our strategic tenement package and already identified some seven areas of interest. Notably, the company has already had plenty of success with the drill bit as indicated below. On-ground geological reconnaissance has been ongoing since the commencement of this year’s field activities in late May. Geological crews have undertaken field inspections of targets to both validate historical mapping and surface sampling. In addition, they will prioritise the discovery of new zones of mineralisation not previously known using the desktop targets generated from historic data. The identification of new targets will lead to follow-up drill testing during the 2018 field season, providing the greatest chance to make a new discovery that has the potential to add resources in addition to the known Resources at Dry Creek and West Tundra. To date, geological reconnaissance and surface sampling has successfully confirmed historic targets with previous drilling where there is potential to test along strike and down-dip. In addition, sampling has also included orientation work to provide background fingerprinting with respect to the known mineralisation at Dry Creek and West Tundra. Some seven areas of interest have been identified from the company’s on-ground work. These include Dry Creek South where rock chip grab sampling returned assays up to 12.8% zinc, 34g/t silver, 1.1% lead, 0.02g/t gold and 0.7% copper. At Dry Creek East, soil sampling confirmed the continuation of an anomalous trend, providing indicative levels of anomalism for reference to new targets. As well as identifying additional drill targets within established deposits, geological reconnaissance and surface sampling has successfully added new targets for drill testing. This includes the Ram prospect where a newly discovered massive sulphide float has been discovered and traced back to a proximal source position between the Dry Creek South and the main Dry Creek massive sulphide lenses. Rock chip grab sampling returned assays up to 27.1% zinc, 152g/t silver, 8.2% lead, 0.3g/t gold and 0.6% copper. At the Megan’s Draw prospect, a zone of alteration is associated with historic base metal soil anomalism that has been confirmed by portable XRF analyses. Rock chip grab sampling returned assays up to 0.3% zinc, 8g/t silver and 0.2% lead. As previously mentioned, a 60 centimetre wide massive sulphide outcrop was discovered at the Hunter prospect within a graphitic schist that can be traced over 500 metres of strike. Portable XRF analysis of soil samples returned up to 24.3% zinc, 2.4% lead and 1.5% copper. Looking at the overall picture, new prospects identified from surface reconnaissance and geochemical sampling are highlighted below.